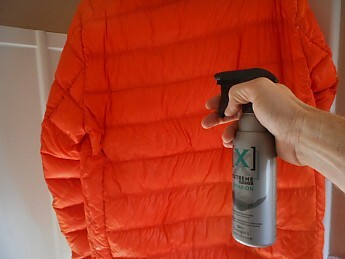 Granger's Extreme Cleaner Spray-on is an easy-to-apply cleaner for down jackets, sleeping bags, and other gear that cannot/should not go into a washing machine. While it will knock off the dirt and grime, users should not expect their down products to look as good as new. I bought it in the United States, but the product is based in the United Kingdom and hard to find. Search Amazon. Let me start by saying, I did not go looking to buy this product. 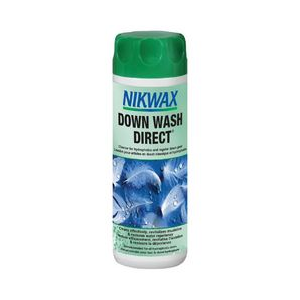 I went into an “outdoor gear store” to buy Nikwax Down Cleaner. Turns out this was one of those stores with a cool motif, but of no real use to anyone—unless you need designer clothes that say “The North Face” on them. 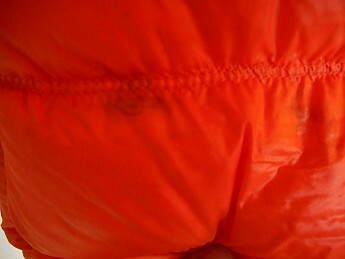 The guy who helped me had never even heard of Nikwax, but he marched me pass all the racks of Mountain Hardwear jackets and pointed to a clearance shelf with a few mismatched items. On the bottom were two bottles of Granger's Extreme Cleaner Spray-on. It was clear the staff member wouldn't be able to help me any further. So I let him return to straightening the 30,000 or so Camelbak packs on display while I read the bottle. After reading it I wasn't convinced, but it was only $5, and my only other option was to drive around town looking for a store that might carry Nikwax. So I took my chances and bought a bottle. What is the Name of This Stuff? Finding the exact name for this product is really confusing. 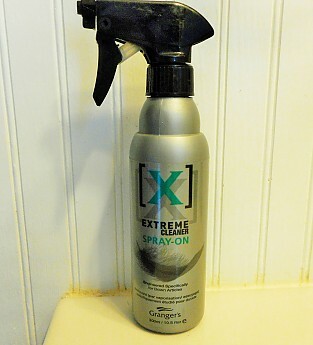 The bottle refers to the product as Granger's Extreme Cleaner Spray-on. Internet searches all come back as Grangers 300ml Extreme Spray Cleaner, and display the same product with the same description. Since I bought this product back in 2013, Granger's seems to have changed the name to simply Granger's Gear Cleaner. But to quote Shakespeare, “What's in a name? That which we call a rose by any other name would smell as sweet.” So call it what you will. Extreme Cleaner Spray-on is specifically engineered for use with all down articles. Extreme Cleaner Spray On is a unique, easy spray-on/wipe-off application which will not over soak fabrics keeping the down in prime condition. Also suitable for spot cleaning application on all articles. Water based spray-on cleaner specifically engineered for use on down filled articles. can also used as a spot stain remover. The only safe product for cleaning down filled articles. Easy to use - spray-on & wipe off. Can be used on a wide range of articles that cannot be machine washed i.e ruck sacks, gaiters, umbrellas etc. Offers an excellent base for reproofing. Has no effect on the performance, life and effect of down. Effective against most oil and soil stains. 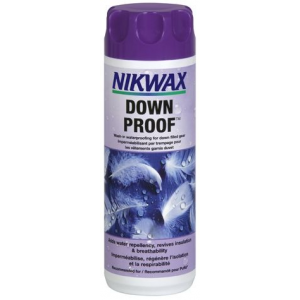 My first thought was, “Nikwax is going to take exception to the claim this is the ONLY safe product for cleaning down filled articles.” Turns out, there was more to that story than I realized (Read on.). Doing further online research I found the premise behind this product. First, we know that washing down in a machine is hard on the down. The action of the machine can damage the fine fibers of the down. Second, once down is thoroughly wetted, it clumps. Removing clumps means drying with tennis balls. The beating of the tennis balls further damages fibers, and even low heat in a dryer can dry out the down, making it brittle. 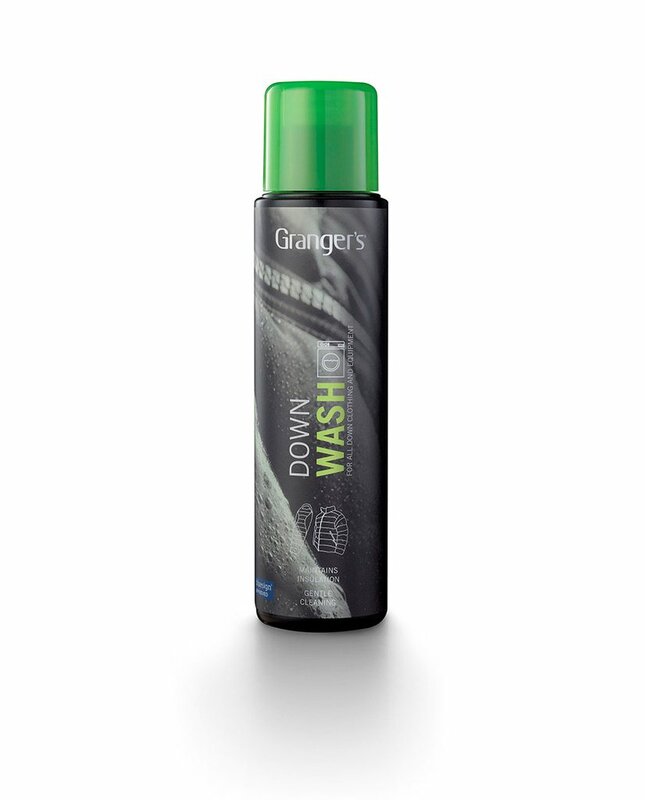 As a spray on cleaner, Granger's product eliminates the need for a washing machine. Since the down is never saturated, a dryer is never needed. These are the claims of Granger's, not my own. The claims make sense to me, and while I have seen other criticism of this product (Read on), I haven't seen anyone contradicting the premise. I really like things to be easy, and Granger's gets it right. Step 1: Hang down garment on a hanger in your shower. Step 2: Spray garment thoroughly with cleaner. 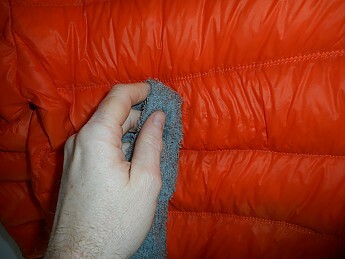 Step 3: Wipe off with damp cloth or sponge. Step 4: Leave hanging to dry. Such simple directions make it hard to damage your down product. Even I was hard pressed to mess this up. Nominal. Spot cleaning my down puffy produced so-so results. The product did get the grime off, but stains remain. Of course, this is about restoring functionality to a down garment, not staying fashionable. In short, I don't know if this product is safe to use or not. 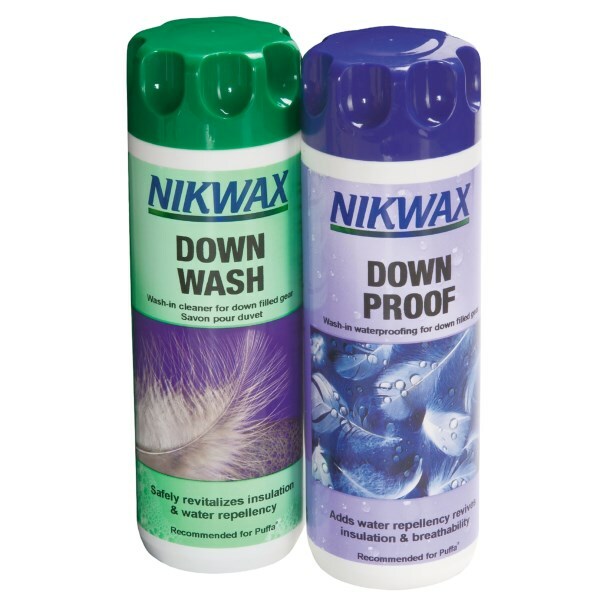 Nikwax certainly isn't there to back up competitors' claims, and no company is going to say their products are unsafe. One comment by a Nikwax chemical engineer compared Granger's product line to 3M's Scotchguard. Doing some online research you see that 3M probably knew for years that fluorocarbons were unsafe, but continued to sell Scotchguard until the evidence became undeniable and the Environmental Protection Agency had started an investigation. When all is said and done, this isn't a product I will be buying again, nor am I urging people to run out and buy it. It's certainly not easy to come by anyway. I like the premise of a spray-on application, but I still don't know if Granger's products are safe for the environment and my own person. The ultimate lesson here is if the clerk at the fancy outdoor gear store has never even heard of Nikwax, shop elsewhere...for everything! Hmmm... Interesting. I've always been curious about this stuff, I know that Arc'teryx recommends their products, well at least for washing their shells. Thanks for the review G00SE! The Granger's Extreme Cleaner Spray-on is not available from the stores we monitor.